Hobie Wave: The Hobie Wave is an easy-to-sail, easy-to-rig catamaran that will have you smiling. Fun for the family and exciting for juniors while forgiving enough for the newly initiated. The Hobie Wave can be sailed single-handed or with up to 4 adults (dogs are welcome too!). 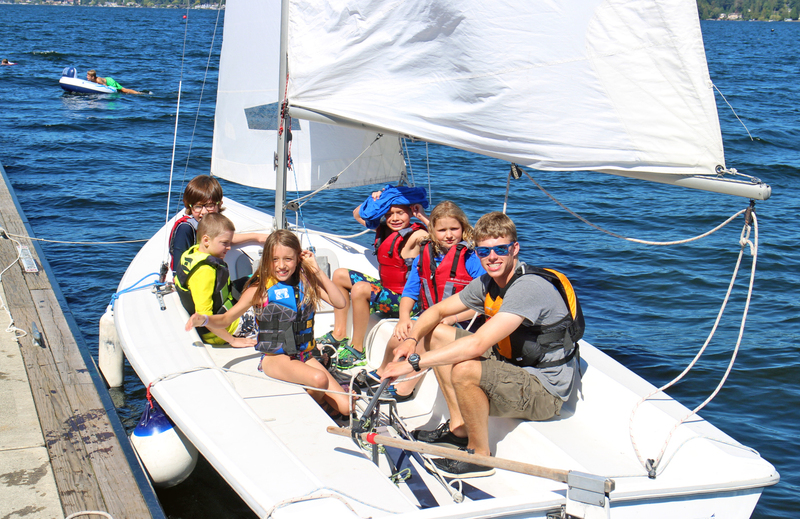 New to sailing or just want a fun way to get your friends and family out on the water? Consider our Hobie Wave Experience taught Wednesdays and Sundays from 6-8pm to get you on your way! 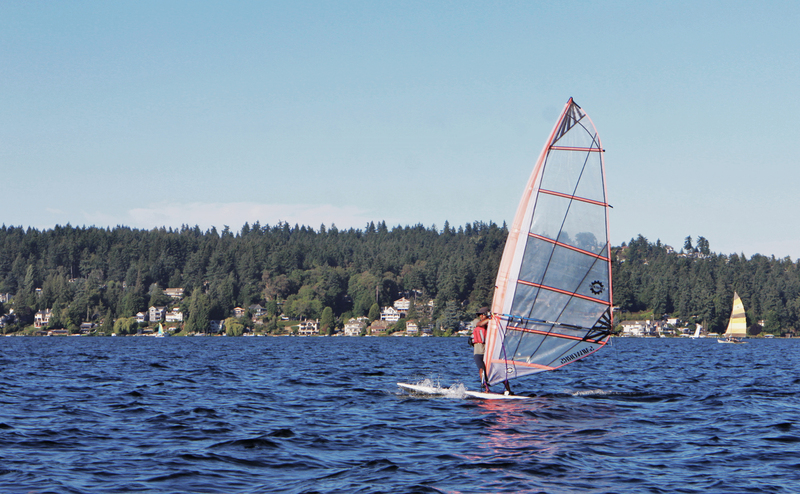 Hobie 16: Ready to step up to the next level of excitement and complexity? The Hobie 16 is the fastest boat in the fleet in any conditions. In over 12 knots of breeze this boat can sail off its apparent wind and actually go faster than the windspeed! This provides a very exciting ride and is an experience that should not be missed! With a crew of 2-4, there is no single handing this boat and crew weight needs to be at least 260 lbs in order to right the boat from a capsize. If you are an experienced sailor and would like to take out this boat we ask that you attend the Hobie 16 Refresher class. This class is offered for free and runs an hour on weekend mornings, see HERE for details! Adult and youth classes on this boat are available for beginners. Laser: The Laser is the most prolific one-person dinghy in the world, and for good reason; this simple, yet challenging boat is the perfect blend of speed and maneuverability. The Laser is enjoyed by everyone from casual cruisers to Olympians. 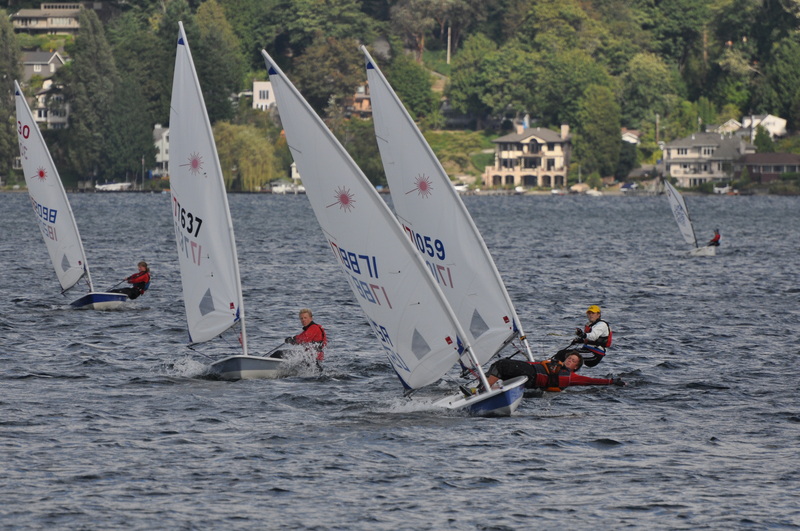 A simple boat to rig and sail, the Laser rewards practice and good sailing technique, keeping even the most seasoned racer engaged. Lasers are popular with our Monday night racers and classes are offered for both youth and adult students. 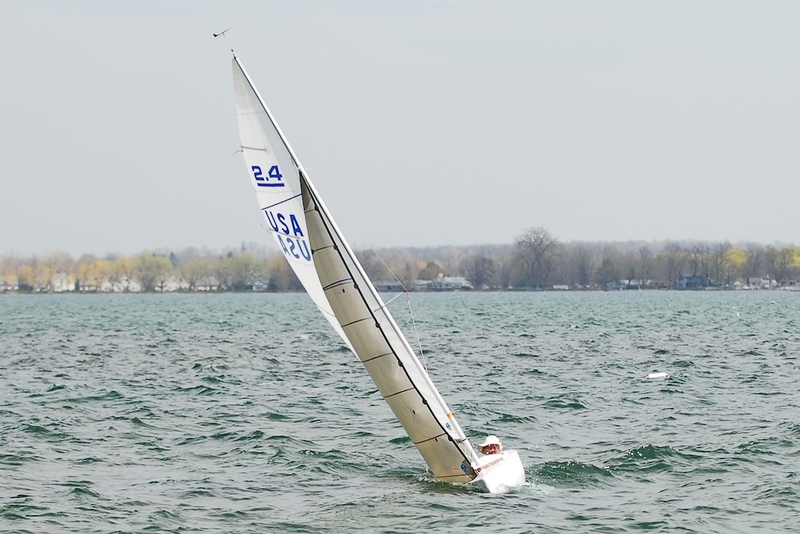 Sailors need to weigh 95 lbs to right the boat from a capsize. RS Quest: The RS Quest, a roomy and stable 14-footer with a self-draining cockpit is both a great family boat and sail trainer (2-3 person). The boat’s aluminum mast is sealed to provide the necessary buoyancy to help prevent it from turtling when capsized, its durable hull and simple rig make it a great boat for beginners! 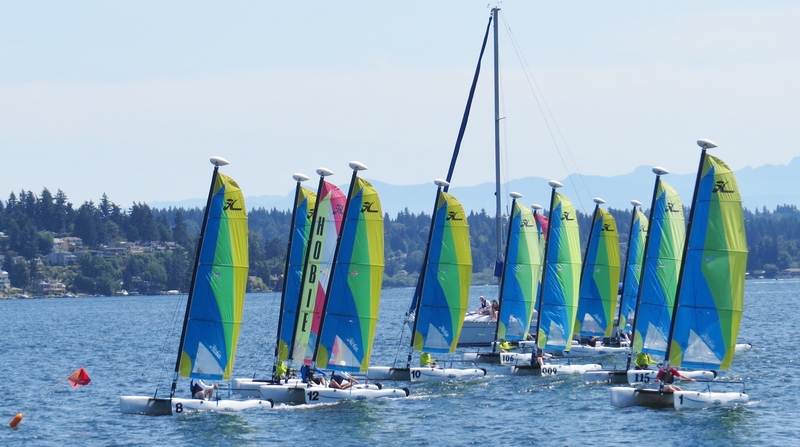 Both youth and adult classes are available in this boat as well as free refresher courses for experienced sailors looking to get out on this boat for the first time. Catalina 16.5: The Catalina 16.5 boasts a big roomy self-bailing cockpit (sails 2-5 adults) with comfortable seats inboard and wide decks outboard to suit your group sailing. It is the ideal size for family outings. This boat lives on a dolly in the yard and must be hand launched, it is primarily used for groups that are too big for the RS Quest. In a review of the Catalina 16.5, the editors of SAIL MAGAZINE wrote: “The wide beam (7 feet) allows for a flat, stable hull shape that stands up well to gusty conditions”. This is the largest boat for use in open boating. 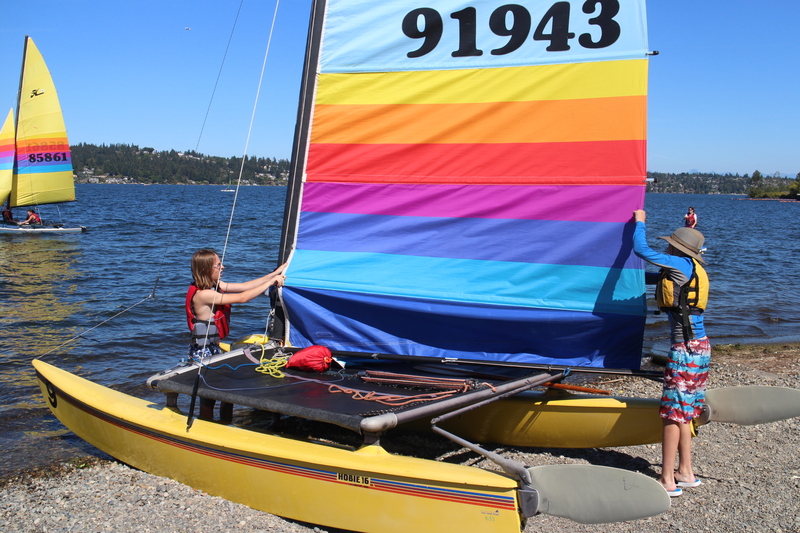 Flying Junior ( FJ ): This is one of Sail Sand Point’s most popular boats. 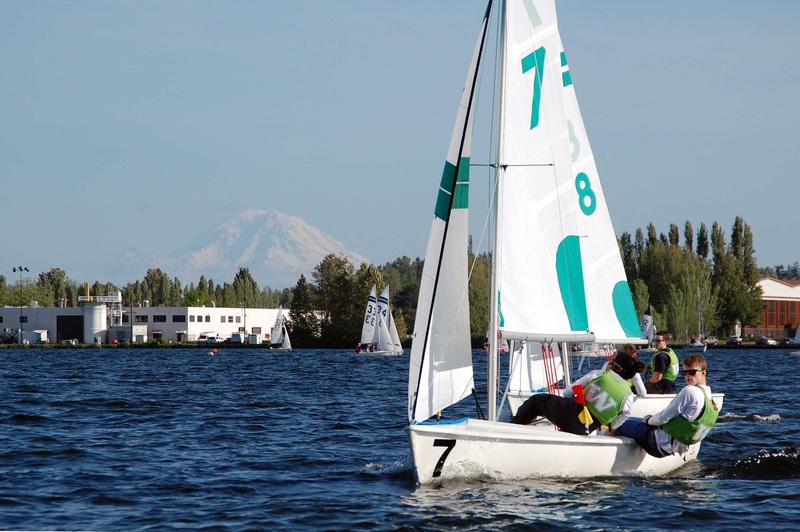 The FJ is the standard double-handed dinghy for high school and college racing, with an active one design class on the West Coast. It has good all-around performance and rewards the tactical and savvy sailor. 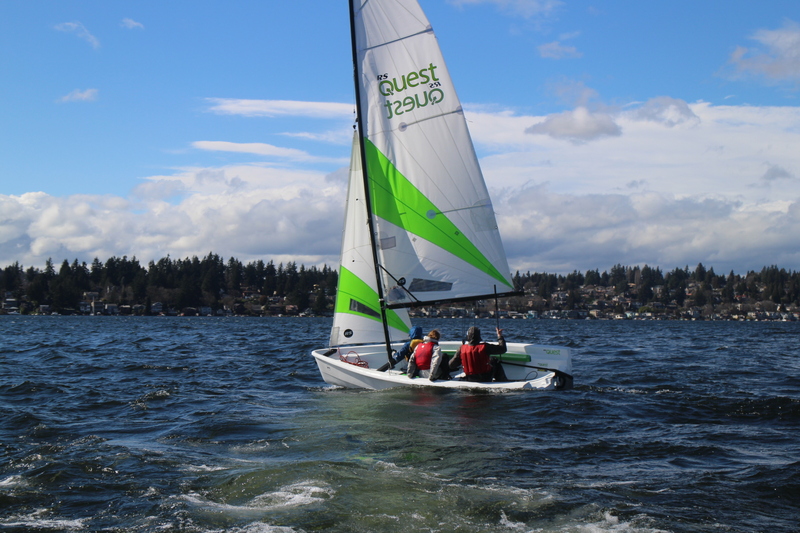 This boat is ideal for the intermediate sailor to rent or for learning to sail through our youth and adult classes. The FJ is a popular boat for Monday night racing. 2.4 Meter: The 2.4 meter is perhaps one of the best, most fun single handed boat you will ever sail. It can be as tactical, technical, and fast as you want it to be. In many ways, it is like sailing your own small 12 meter. This boat was used in the Para-Olympics for years and with its 400 lb. keel it is virtually impossible to capsize. Sailors of all abilities can enjoy the thrill of this boat! 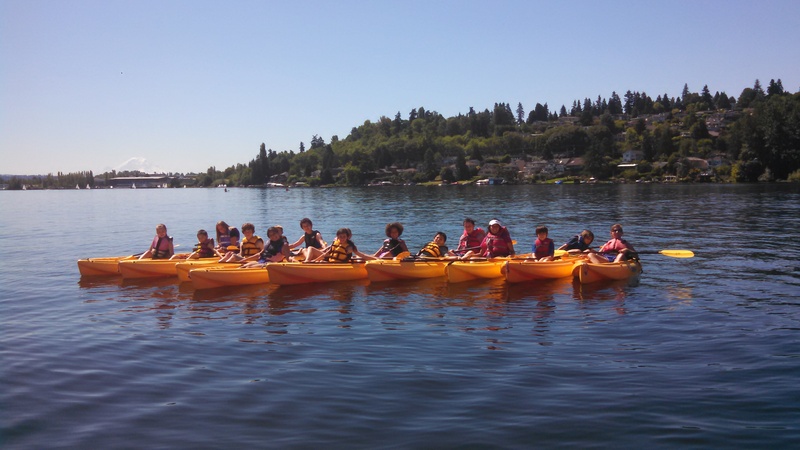 Hobie Kayaks: We have 15 Hobie sit-on-top kayaks for use in open boating, group events and youth camps (5 singles and 10 doubles). These kayaks are a great entry-level platform as they are easy to get in and out of, and are designed to provide a stable ride and snappy, spin-in-a-second maneuvering. A wide beam with a relatively short waterline deliver responsive, stable performance usually found on longer boats. Optional adjustable padded seats support your back and encourage longer excursions. 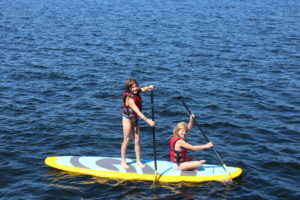 Stand up Paddleboards: Paddleboards are one of Sail Sand Point’s favorite ways to enjoy Lake Washington. 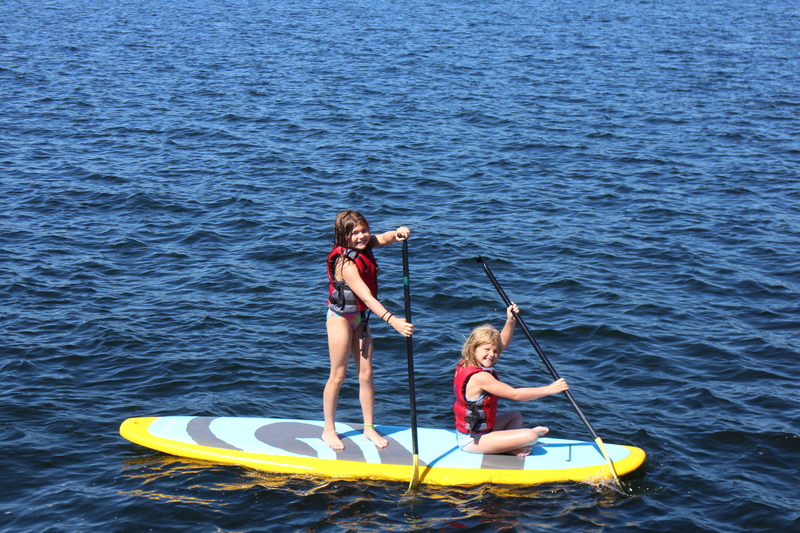 We have16 paddleboards that come in different lengths to accommodate both kids and adults. Sit or stand, these boards offer a very exciting and wet experience. Getting out on a SUP is a great way to improve balance and get a good workout! SUP’s are not easy in high winds and big waves therefore we don’t allow them to go out in over 10 kts of wind. Windsurfers: We have a collection of boards and sails that can accommodate both youth and adults. The sails and boards are mainly geared towards beginning windsurfing. 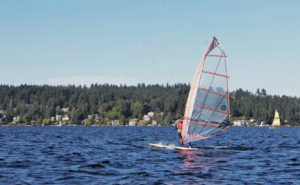 For those that have experience windsurfing you may take the skills test and use equipment through Open Boating. For those looking to get into the sport we offer a 5-hour Introduction to Windsurfing class! This is an incredible way to develop strength and balance!